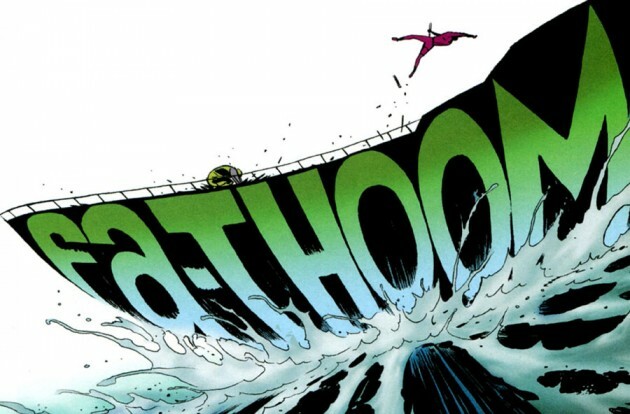 Sound effects, word balloons and captions obviously have a very special (and often under-appreciated) place in comics. 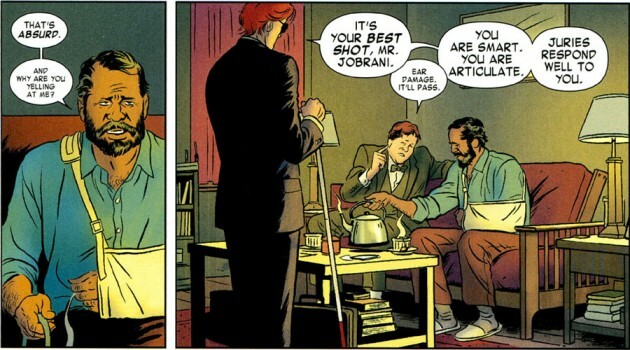 In a book like Daredevil, where sounds play such an important role in the unique world of the main character, sound effects have the potential to add even more to the overall reading experience than is the case for most other comic books on the stands. However, I have to be honest and say that I never paid much conscious attention to these things until the current run, which has really made me sit up and take notice. 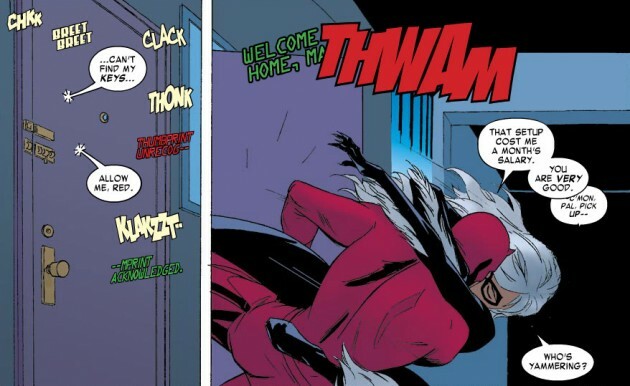 The key to the successful use of sound in the current incarnation of Daredevil starts with having a writer like Mark Waid who seems to constantly be thinking about how to portray things from Matt Murdock’s perspective. Add to that the inspired visual storytelling of artists like Paolo Rivera and Marcos Martín, who have been equally committed to translating Daredevil’s senses into something that works in a visual medium. The final piece of the puzzle comes courtesy of skilled letterer Joe Caramagna who is able to add that final touch of perfection. All put together, Daredevil feels like a book that speaks to all of our senses. Despite the 500+ post history of this site, this is the first time I’ve thought to give the spotlight to the sounds of the comic book page. With how well this particular dimension has been handled by all involved since last summer’s Daredevil #1, now seemed like the perfect time. So, I bring you, in chronological order, a list of ten favorite uses of sound from Daredevil, volume 3! This panel has really been trimmed down to the bare essentials with the chilling “sight” of The Spot breaking a man’s neck accompanied by the inevitable sound of bones breaking. Paolo Rivera has talked about how Daredevil, in the panel leading up to this one, covers the eyes of the little girl about to be kidnapped, to shield her from the horror while wanting to underscore that Matt doesn’t have the option of looking away. As of omni-directional radar sense weren’t bad enough, the oversized “KRAK” makes sure that, even if he could, the details of the mobster’s demise would not be lost on him. In the back-up story from Daredevil #1, it is Marcos Martíns who turns the sound of Foggy chewing on snacks into a character in its own right. Set against a dark elongated corridor, the sound completely takes over the scene, reminding us of how it dominates Matt’s own perceptions. This scene was just one of many from an issue where sound in all its forms came into play in many different ways (see also #4 and 5 below). As one might imagine, it was not an entirely pleasant experience for our horned hero. What I like about the panel above is how the sound effect is made to match the background, giving the impression of the sound being inescapable and literally all around. 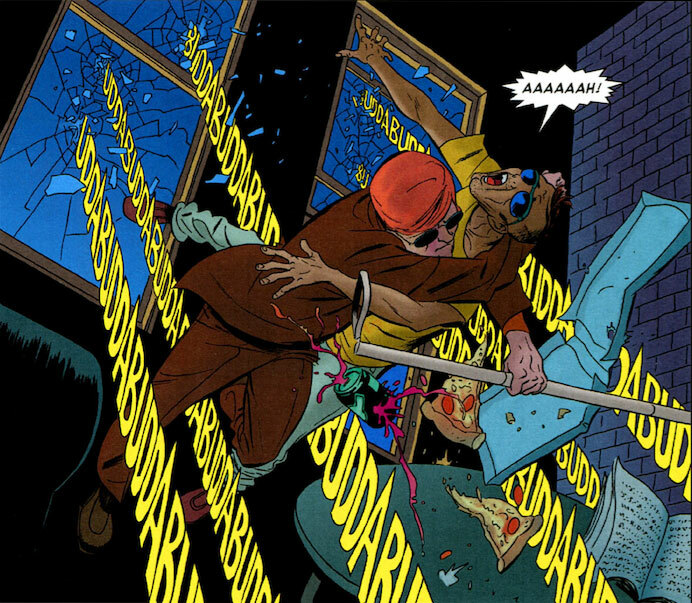 After the intense experience in Klaw’s secret basement, Daredevil has been subjected to enough noise to cause some real damage. I really like how this effect is illustrated in the above panel by having the noise from the traffic look at once loud and ill-defined, almost distorted. Nice! 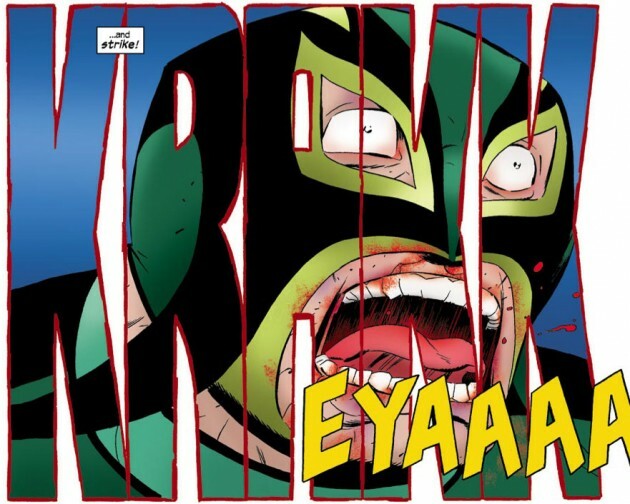 As if going up against Klaw wasn’t bad enough, two issues later, Matt finds himself under attack again. This time he’s being shot at by a sniper while protecting his new client Austin Cao. Oh, and having the bullet trajectories also be a sound effect? Brilliant! Yeah, this one pretty much speaks for itself. Fa-thoom indeed! Next issue, Matt gets his revenge against new villain Bruiser. The sound in this panel, that of a knee shattering, is big enough to literally take over the whole panel. Very cool-looking! 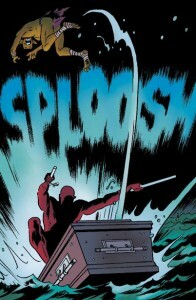 Last but not least is this splash of water from the most recent issue, Daredevil #9. I like how it’s made to look like the sound effect is made up drops of water that could rain down on Daredevil at any moment. Also, “sploosh”? Yeah, I kind of like the sound of that. While perhaps not as artistic as those in DAREDEVIL, my all time favorite sound effects in comics are from Pak and Van Lente’s INCREDIBLE HERCULES. Throughout their run, about 50% of the sound effects were little jokes. For a small taste, check out this review of “The Incredible Thorcules” arc or this small sampling from CBR. I love the sound bullets from #5. Rivera’s cover of #1 just might be the greatest showcase of sound making shapes. I’m so glad my shop gave me that poster as a gift. I am a huge fan of Frank Quitely work. His work on Batman and Robin 1-3 has great examples of sound effect moments (when the bullets strike the heads of the guards near the end of #3). I also want to say that We3 had them as well, but I don’t remember specifically. That kronch is so good that it has matt on a munchies march at all cost (MM on an MM).. and the extra large O and N give the icon that moment in time effect where you can actually see the duration. The traffic scene seems to show Matt as at a total loss gathering from the quivers around his body and ears and holding his clubs against, what, the traffic? (sometimes, even if rarely, Matt’s the luckiest Injun on his luckiest day, or night here rather). And those bullets ripping are right on line.. did the soda can get it and is oozing (EEEK!) pink soda? Nice touch. Great selection. Agreed that Joe is a master at his trade.